This page shows the latest CDK4/6 inhibitor news and features for those working in and with pharma, biotech and healthcare. CDK4/6 inhibitor class. ... Around 46, 000 women are diagnosed with breast cancer each year in England and Wales, of whom around 8, 000 would be eligible for treatment with a CDK4/6 inhibitor. 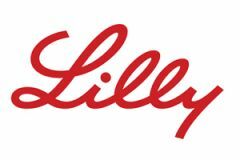 Eli Lilly has the approval it was looking for in Europe for CDK4/6 inhibitor Verzenio, allowing to challenge rivals from Pfizer and Novartis in breast cancer. ... women. It’s not all been plain sailing for Lilly’s CDK4/6 inhibitor programme however.